Omni Selfieis a high-resolution, explorable and shareable selfie which takes the whole scene in the background. The Omni Selfie technology revolutionizes the culture of the popular selfie. Attract more visitors to your city, landmark or event by offering them a unique experience or promote your brand in an innovative way. Provide unique selfie memory: Give your visitors the possibility to obtain the biggest high resolution, explorable and shareable selfie. Add an experience to your visitor and allow them to share it. Then they become promoters of your city, landmark or event and generate branded content by sharing a high quality shot in their social networks. Revenue sharing from photos: Reduce the risk of your investment through a revenue-sharing partnership. The registration process, the photo shooting and the image selection is done by the users via the Omni Selfie app in the iPads displayed on the landmark site. Three shots are taken by the Omni Selfie cameras to be sure to get the best-looking selfie of the users. 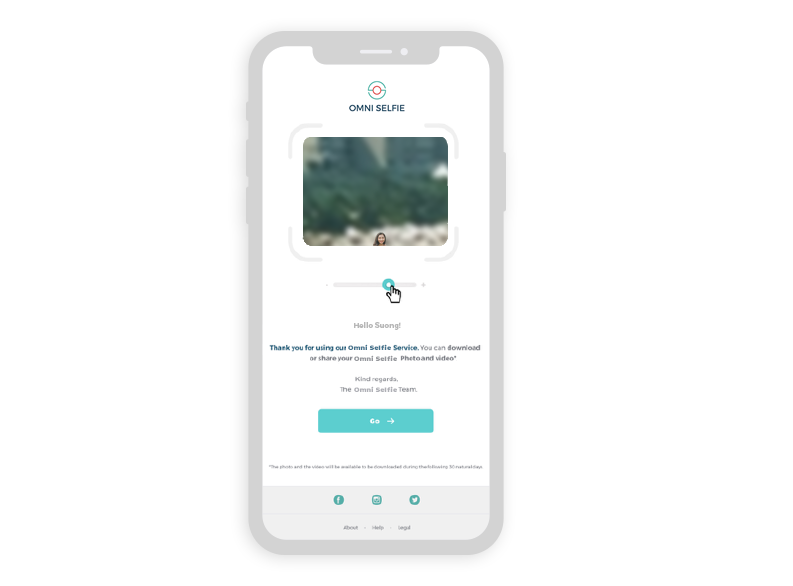 Users will select their preferred shot from the preview selfie images before the Omni Selfie photo and video are generated. 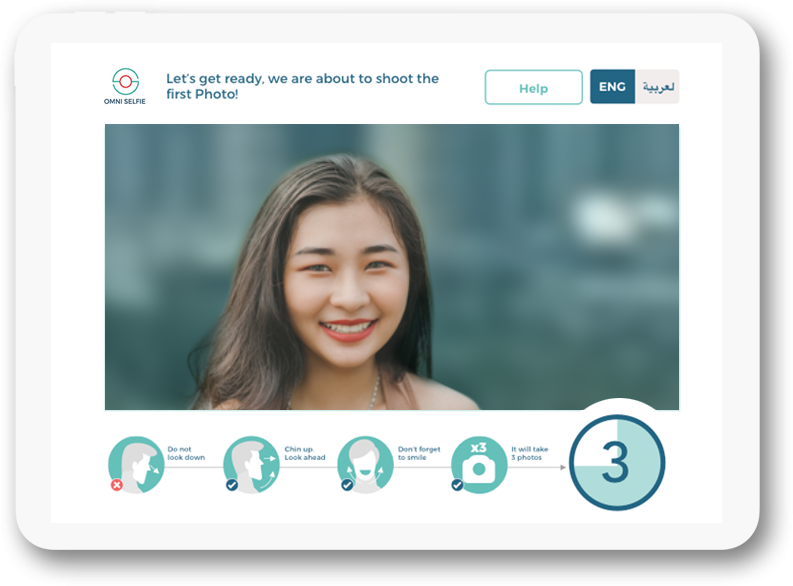 Users will receive an email with a link to a website where they will be able to download the high-resolution, explorable selfie and a short video with the zoom effect to be shared on the social networks. 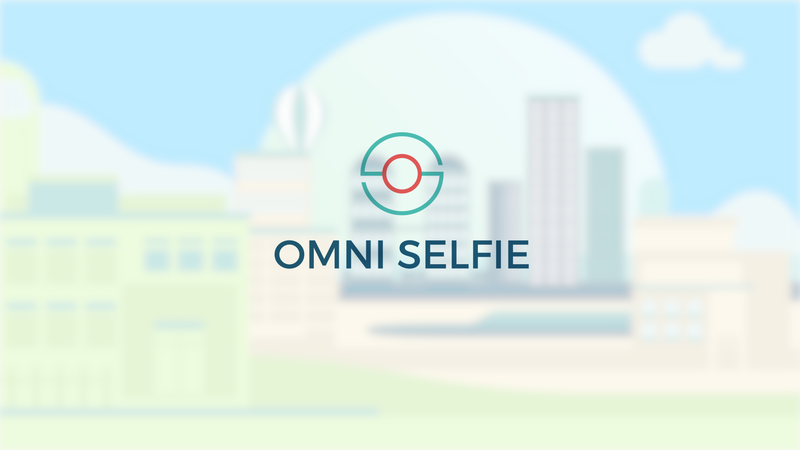 The Omni Selfie photos and videos may be branded with the official logos of the landmark, city, sport or cultural event or company hosting the Omni Selfie site. 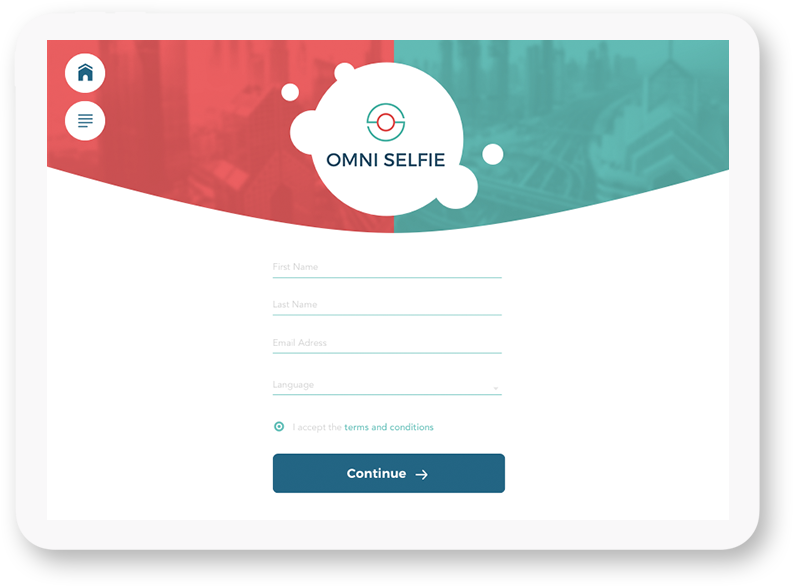 For more information about Omni Selfie or to request a demo please contact us.